Is your vehicle running rough, or making a strange noise? Is your check engine light on? Did you know a check engine light doesn’t always mean there is something wrong with your engine? It’s actually used to signal a problem with your vehicle emissions. Often, it’s as simple as a loose gas cap, or bad sensor. Stop guessing, and gain peace of mind by knowing what is going on. Corey’s Car Care Center can help. Our professional certified technicians, use state-of-the art equipment, and constant training to diagnose any concerns, and recommend only needed repairs. Get back on the road safely, confident in our diagnostics, and knowing you made an informed decision. Preventative maintenance, when performed regularly, avoids breakdowns and potentially expensive repairs. It also extends the life of your vehicle. These services include fluid changes, filter replacement, electrical system evaluation, fuel system cleaning, and manufacturer’s scheduled. In four season climates like we have here in Minnesota, North Dakota and South Dakota it’s common to perform summer and winter maintenance. 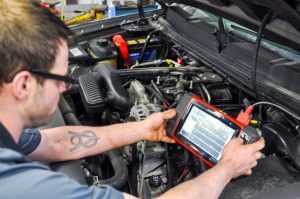 In addition to basic maintenance, this seasonal schedule may include changing to a higher or lower viscosity motor oil, air conditioning recharge, coolant testing, battery check, and winter wiper blades or tires. Oil is the lifeblood of your engine, and the most vital maintenance. While 3 months or 3,000 miles used to be the standard recommendation newer vehicles calculate oil life based on factors such as temperature, speed, trip length, and load. The oil change reminder can have an upper limit of 7,000 miles or more. Synthetic oil offers about double the range of conventional and offers other benefits. If you think of oil as a bunch of randomly sized marbles, synthetic oil has marbles all sized the same. 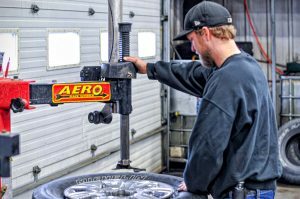 In cold weather climates like Fargo, ND synthetic offers improved cold temperature performance, and easier starting. Cars are lasting longer than ever. Where once a 100,000 mile car was considered ready for the scrap heap, now it may be only 1/3 through its useful life. There will always be some parts that need repair or replacement due to age and or wear. 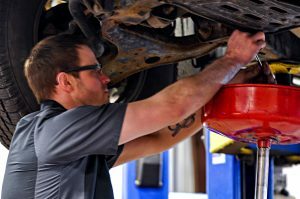 Tires, brakes, shocks, battery, wipers, and lights will all likely be replaced numerous times. A modern car may have a dozen or more computers, and many times more sensors. Despite the reliability of these solid-state devices, the sheer quantity leads to occasional failures. Belts and hoses also need to be inspected, and replaced if cracked or worn. A special belt known as a timing belt has a manufacturer’s specific recommendation to replace. Failure of this belt can be catastrophic to your engine. If your vehicle has over 70,000 miles you should check your timing belt schedule. Belts and hoses also need to be inspected, and replaced if cracked or worn. A special belt known as a timing belt has a manufacturer’s specific recommendation to replace. Failure of this belt can be catastrophic to your engine. If your vehicle has over 70,000 miles you should check your timing belt schedule.